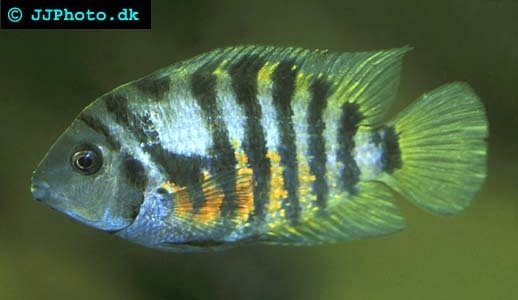 Company: Cryptoheros nigrofasciatus (Black Convict Cichlid) is best kept with other cichlids from central America or in a community aquarium with other aggressive species. Aquarium setup: Cryptoheros nigrofasciatus (Black Convict Cichlid) should be kept in an aquarium that are decorated to offer hiding places among rocks and natural territorial borders. Only hardier plants can be used Cryptoheros nigrofasciatus (Black Convict Cichlid) thrives in just about any setup. 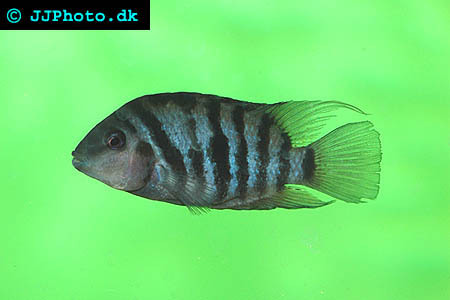 Breeding: Cryptoheros nigrofasciatus (Black Convict Cichlid) is extremely easy to breed and will breed under almost any conditions. The lay their eggs on a flat surface and guard the eggs and fry. They are usually very aggressive during the breeding period. A very good fish for anyone how wants to reed their first fish or their first cichlid.